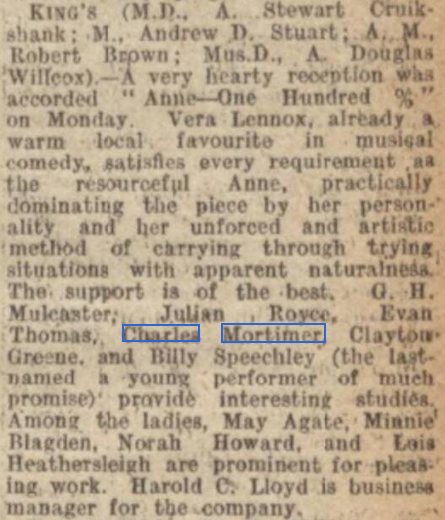 The Stage - 26 May 1927. The Savoy, London. 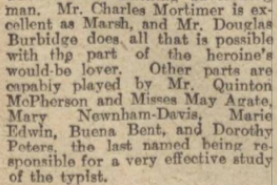 "Mr Charles Mortimer, Mr. C.H Mulcaster, Mr Billy Speechly, Mr Quinton Macpherson, and Mr Evan Thomas, repeat their sound performances. 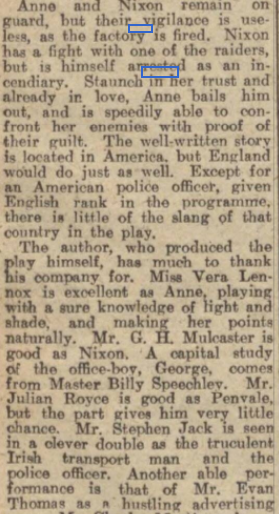 The play had an exceedingly good reception." ....and the Savoy Theatre London. Play in Four Acts, by Mr. Sewell Collins (based on a short story by Edward Franklin), produced at the Q Theatre, Kew Bridge, on Monday. 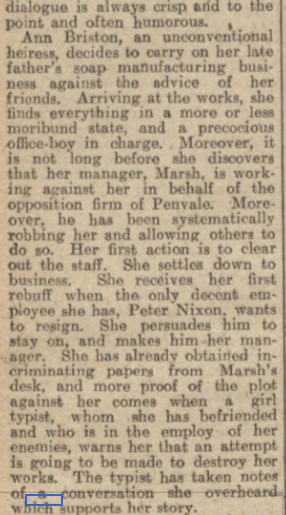 March 28, 1927. 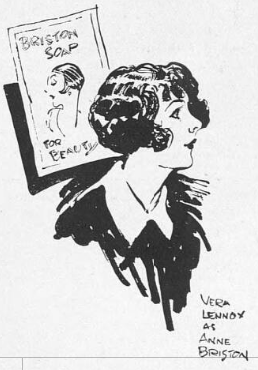 From the acting point of view the outstanding feature of the production the work of Miss Vera Lennox in the title role. The acute business woman seems to be there without any loss to feminine charm, and is altogether an embodiment rank among the best. 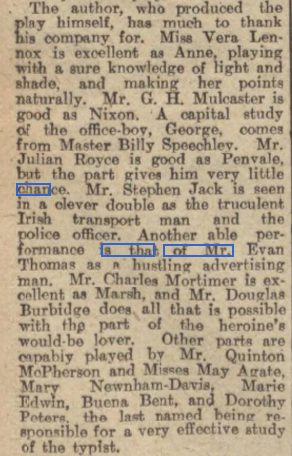 The production is also fortunate for the presence of Mr. G. H. Mulcaster to play the hero in quiet manly fashion, whilst Mr. Julian Royce brings all his polish to bear on the part of the rival manufacturera Penvale. 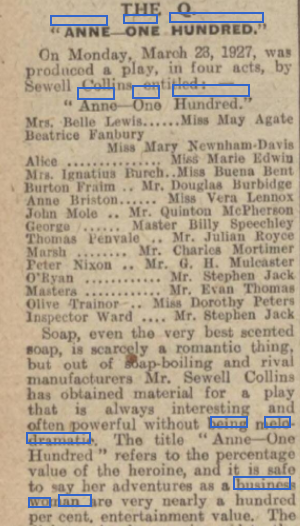 Other performances which deserve special mention include the bright and breezy study of an advertisement expert, put in by Mr. Evan Thomas, the minutes of restrained emotional acting supplied by Miss Peters, the typist whom Anne befriends, and the very diverting picture of precocious boyhood repreicated by Master Billy Speechley (pupil of Miss Italia Gonti) the office-boy. 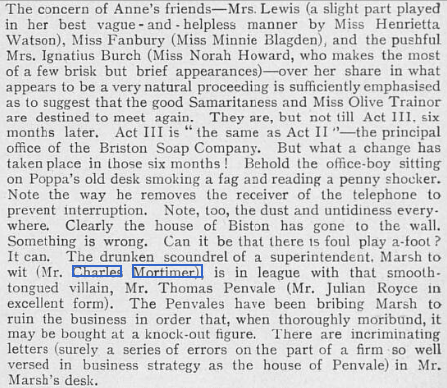 Others in the lengthy cast include Miss May Agate, Miss Mary Newnham-Davis and Misa Buena Bent (three of Anne’s feminine entourage), Mr Charles Mortimer and Mr. Stephen Jack as two of the tough nuts that Anne has to crack and Mr. Douglas Burbridge as the blundering friend who hinders more than helps. 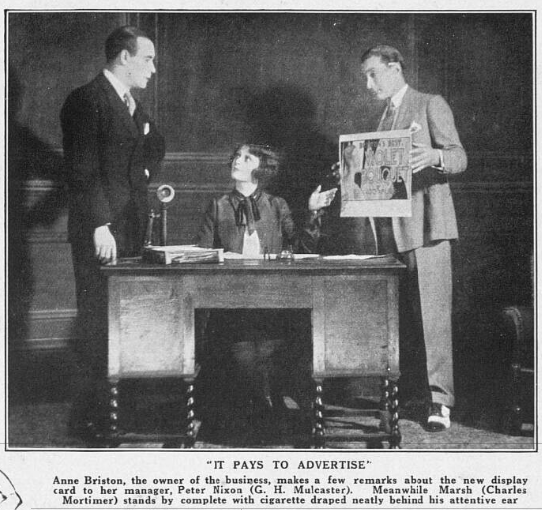 The play originally produced as "Rescuing Anne", at the Princes Theatre, Manchester, on 31 October, 1927. 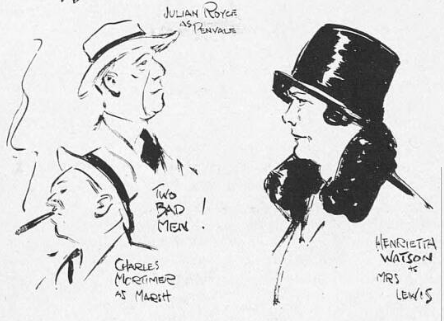 Taken from The Era of 1 June, 1927.